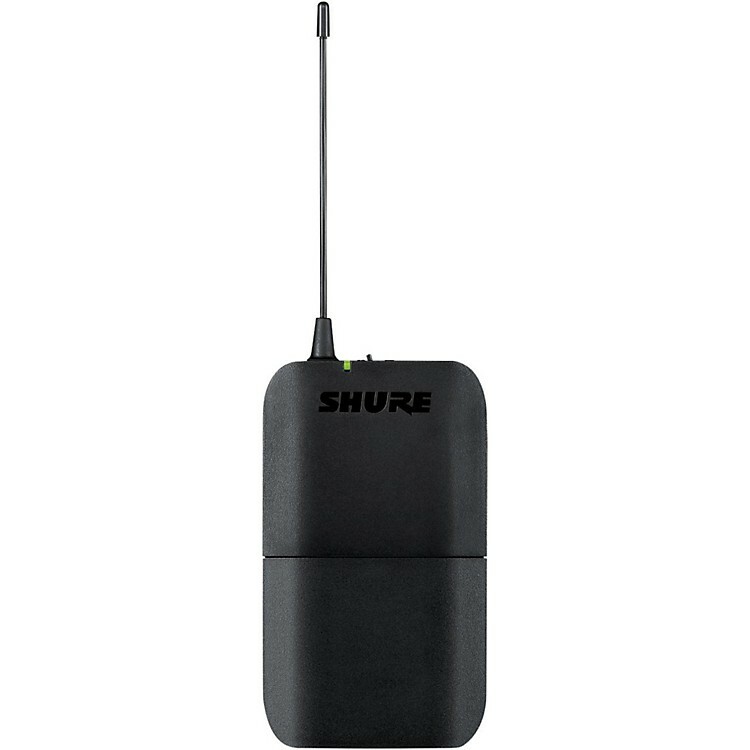 The BLX1 bodypack transmitter works with lavalier and headset microphones. With the WA302 1/4" to TA4F cable, it also works for electric guitar or bass. The beltpack features an On/Off hard toggle switch, preferring to eliminate the multi-function push button that is used on some wireless transmitters. Many users found the multi-function single button to be inconvenient and unreliable. It additionally features continuously adjustable gain, a single bi-color LED for battery status, and a rugged ABS polymer body. It operates on two AA batteries for up to 14 hours of battery life. Its sleek, side taper design makes it a comfortable fit on your belt. Order today and accommodate all of your wireless transmission requirements with a single beltpack.